For as long as there have been Russians, there's been vodka. Or maybe it's the other way around. Either way, the national booze has been used for centuries to toast weddings (and annexations! ), inspire writers, and even treat the black plague. Not to mention, to play insane drinking games that involve hiding under tables. But games aside, ordering and drinking Russian vodka is part of a storied cultural tradition that requires a few know-hows. 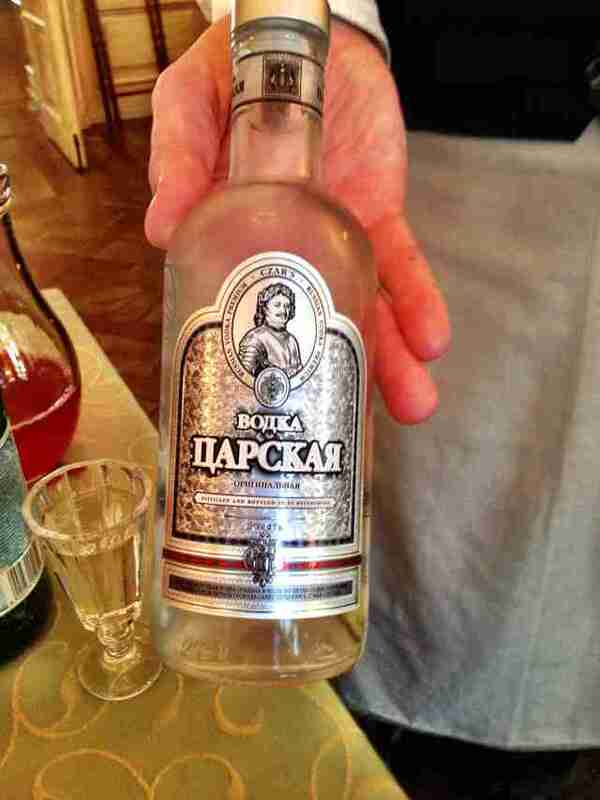 Which is why we visited the Russian Vodka Museum in St. Petersburg and compiled this handy guide. 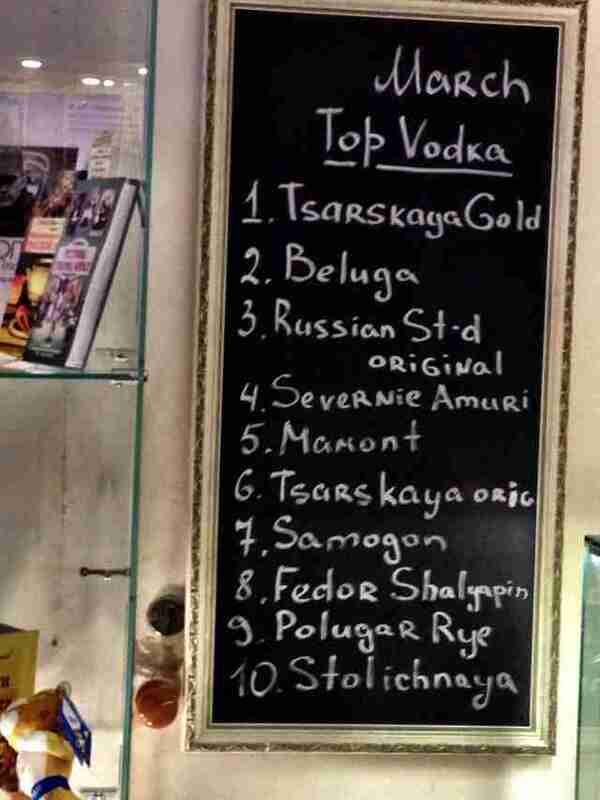 First thing's first -- Russians don’t mess around when it comes to their national drink. The word “vodka” is reputed to be derived from “voda”, which means water, so here, vodka equals life. When ordering, remember three things: 1. You’ll be drinking vodka straight (sorry, no mixers or chasers, so casually put that bottle of Ocean Spray back in your bag); 2. You’ll be drinking vodka quickly (shots, not sips); 3. You’ll be drinking it often. When Russians start throwing back vodka for the night, they tend not to deviate. Vodka is most commonly served chilled and by the bottle, and whoever orders it is in charge of pouring for the group and leading the toast. It doesn’t really matter if your toast is in English or Russian, but if you blank on what to say, try: “To your health!” or “To women!” Or, of course, "To healthy women!" If you start to run out of things to cheers, don't worry, everyone take turns ordering, pouring, and toasting. Repeat this three-step process: Exhale, shoot, eat. Exhale deeply, toss back a shot, and taste the vodka on your palate for a minute. 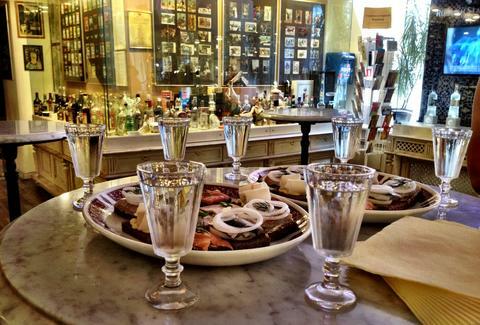 Follow this by reaching for the “zakuski” -- snacks that will be consumed between every shot. 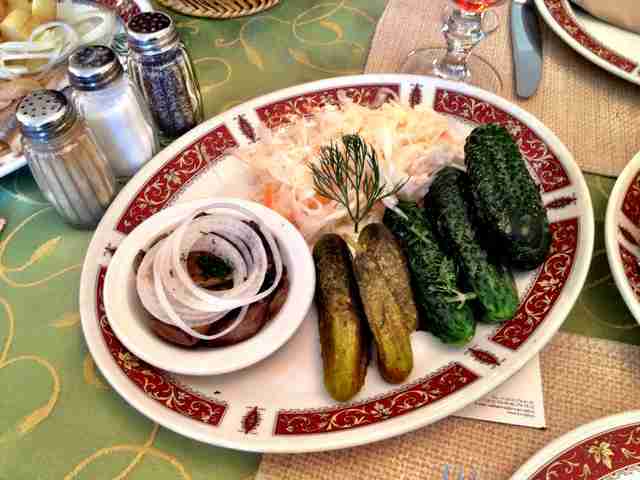 If you're drinking in Russia, you’ll see a lot of dishes on the table, but the most common players are pickles, herring, pig fat, bread, caviar, salted cucumbers, potatoes, and onions. Eat often between shots, but don’t feel compelled to finish the plates right away -- you and your party will probably be picking at them for hours. The goal of a big night out drinking vodka with Russians is not to pass out (sorry, dude), but to stay (relatively) sober. Nobody likes the foreign guy who’s throwing up in the bathroom. 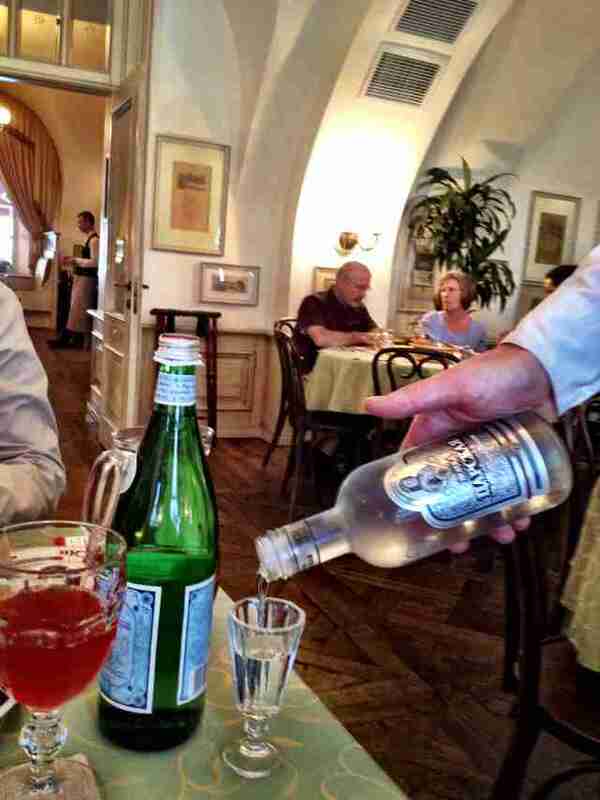 Notice your old friend Stoli -- see, Russians really do drink it!